Read Tony Abbatine’ s bi-weekly column in Baseball America. Each edition he takes on the hottest topics in player development! baseballamerica.com tonyabbatine.com. 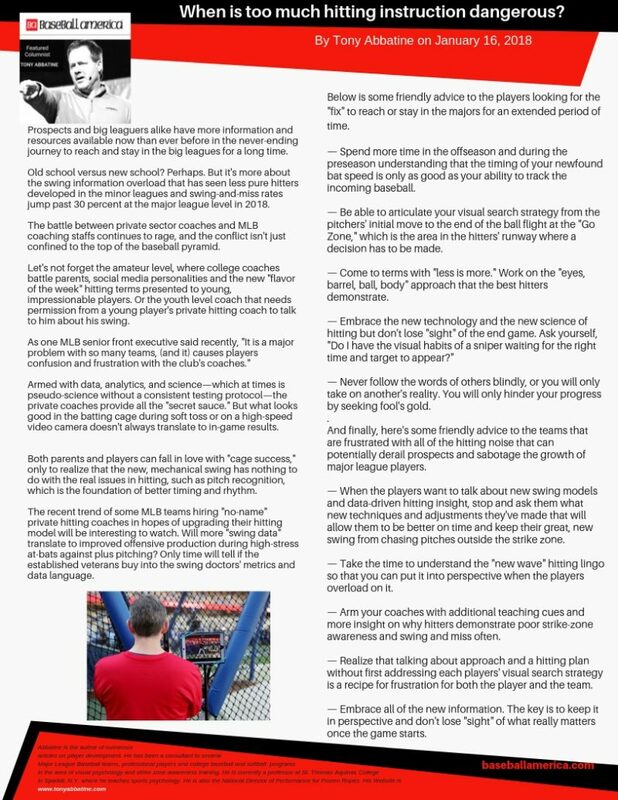 Check out the article below to read all about how the danger of too much hitting instruction.